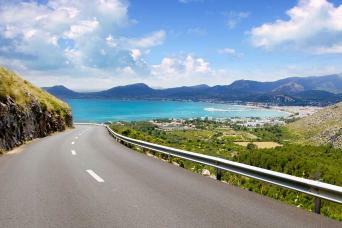 Surprisingly beautiful and quiet, Mallorca is a delight for both walkers and cyclists. 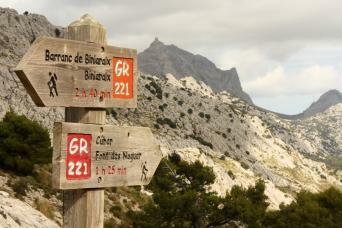 The limestone Sierra de Tramuntana with their rugged tops, isolated valleys and varied flora are a walkers paradise. 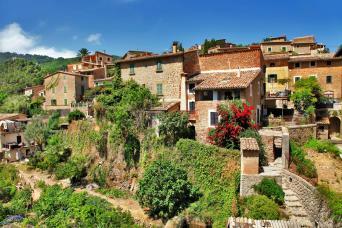 You can also explore hidden Mallorca by bike staying at authentic country hotels in the heart of rural Majorca. A classic inn-to-inn walk on the GR221 “Dry Stone Route”, through Mallorca’s Sierra de Tramuntana, a UNESCO World Heritage Site. Based in Mallorca’s cosmopolitan capital Palma and the village of Soller, nestled between the mountains and the sea, enjoy fantastic coastal and mountain walks on a short walking break in the Tramuntana Sierra. Relax at the end of the day in your stylish finca hotel with lush gardens, swimming pool and tranquil surroundings of orange groves and a mountain backdrop. Explore hidden Mallorca by bike, staying at authentic country hotels in the heart of rural Mallorca. 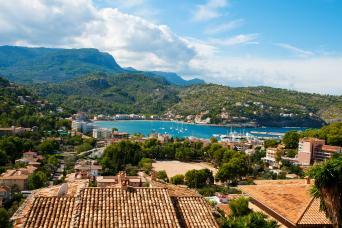 Based in three of the island’s most attractive villages and towns— Fornalutx, Soller and Valldemossa— enjoy flexible walking with plenty of time for long lunches of tapas and wine. Discover the tranquil back roads and paths of Mallorca by bike; the island is a haven for cyclists with a web of traffic-free routes. Cycle through blossom-filled orchards and alongside azure Mediterranean coastlines dotted with charming fishing villages and golden beaches. 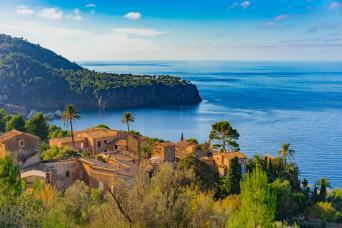 A relaxed single-centre walking holiday based at a boutique finca-style hotel in Soller.